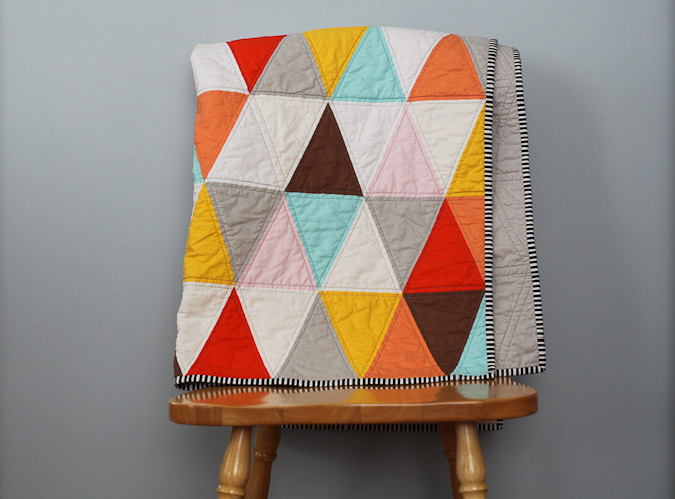 So one of the projects I've had floating in the back of my mind for the last few months is a quilt! 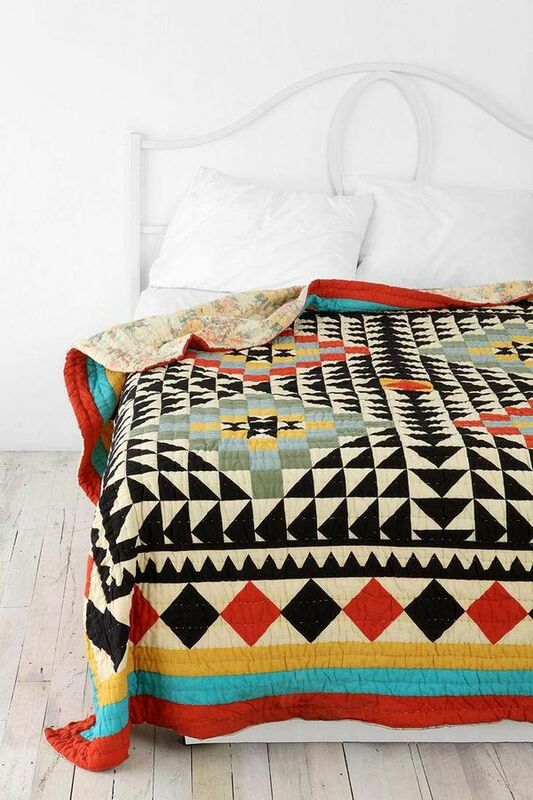 I always was kind of intrigued by quilts, but always thought they weren't "my style". But then I started thinking about how you can make them in any colors and patterns, so how could they not be my style? So I've been searching out some inspiration lately and am really excited! I've been practicing with scrap fabric I had laying around and just started buying fabric for the big one this week. I even was inspired and made some pillows too (maybe I'll share some photos later this week? ;). I'm really lucky too because my grandmother is a great quilter! I'm thinking that for my big quilt I'm going to stay simple for my first one and just do triangles in mostly greys, blacks, and whites, and maybe throw a color in there too. I've been really pushing myself to just do this year - so I haven't been letting myself put off starting this, and am promising myself to just relax and enjoy it, and not go crazy when it's not totally perfect. So I'll be sharing little bits of my progress here on the blog as another way to push myself into making sure I actually finish it! Anyone else starting any new big projects, or have you ever made a quilt before?